Like the Prodigal Son, everyone loses their way every now and again. Despite this, however, the Son is still forgiven by the Father, giving them the opportunity to start anew and live a more meaningful life. 1. Strengthen your faith in Christ. By joining Christian recovery programs, you can trust that the counselors, staff, and other members will tap into your faith to help you heal. Here, you will be encouraged to refer to your pre-established core of values and beliefs. Think of the recovery process as a way to apply your faith to your past experiences. Make it stronger by applying your faith to your futures as well: when you think about how your faith has helped you before, think also of how your faith will help you move forward. Your faith can only grow stronger from there. 2. Find that extra boost to begin your path to healing. Once you have reaffirmed your faith in Christ and regained your bearings, you will become reinvigorated and more motivated to pursue a better life. After living with the pains of addiction for so long, you’ll find that a renewed faith in Christ will refresh you completely. With this shift in attitude, you will be able to feel more significant changes, like a change in the way you view things and a renewed love for life. 3. Join a new community of friends and family. Christian drug rehab centers are all about community – this sense of community, after all, is one of the main principles of the faith. Not everything has to be done alone, and with your new community, you will find more than just a new network of friends. Because all of you have the same shared experiences, you may even be able to consider them your new family as well. 4. Experience no judgment from other like-minded individuals who share your faith. With your newfound community, you share not just the experience of addiction, you also share the same faith in Christ. With them, you need not fear judgment or disapproval for your mistakes. 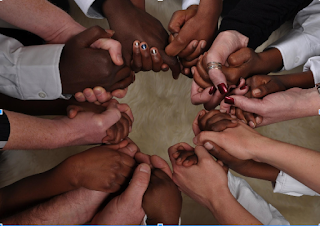 As community prayers, healing sessions, and group counseling are all highly encouraged in these recovery programs, you will be forming strong bonds with both Christ and your community. In this environment, you can feel at ease when talking about your most despairing experiences, and find comfort in listening to other people's’ stories as well. 5. Get the opportunity to help others. Possibly the most rewarding benefit of joining Christian recovery programs is gaining the chance to help other Christians who’ve lost their way. After receiving all the help you needed with the program, you can now pass on what you’ve learned to new, incoming patients. Truly, there is nothing more satisfying than getting the chance to pay it forward. More than anything, the knowledge that you’ve helped save a life is much more fulfilling than anything else. There is hope for everyone, no matter the sin and no matter who the sinner is. To begin your path to recovery, you must first recognize that you have done wrong and express a desire to change. Before signing up for a treatment program, it’s important to note that this is the attitude to have. Truly, you cannot begin your path to recovery if there is no admission of the fact that you have made a mistake in the first place. Only then can you begin to seek out Christian drug rehab centers to help you along the recovery process. Family members have a vital role to play when it comes to women’s addiction treatment. Women need to feel the support of family members as they seek treatment for drug or alcohol issues. It is important for family members to learn how to support a female member of the family during Christian addiction treatment programs. From attending therapy sessions yourself to helping with medications, there is a role for family members to play in the recovery process. You can help them be successful by learning what roles you can play in their process. While your family member is the actual addict, you have to recognize that you were affected by their behavior and actions. Because of this, you have to be involved in the treatment process of your loved one. Educational workshops, family visits, and therapy sessions should all be included when considering women’s addiction treatment. Family members will need to work on themselves as well as learn how to be supportive of the addict. It can also help to go through therapy sessions with the addict to be able to better understand what is going on and to be able to help with recovery. Be prepared to hear things that might shock you or sadden you. It’s all part of this process. Providing actual support can be difficult for family members, especially if you have no idea where to start. Start by understanding that your loved one is in recovery and must take ‘me time’ to be able to focus on what they are dealing with. Try not to feel neglected or resentful of the time an addict takes for themselves as they must begin to feel emotions and deal with feelings before being able to have a strong relationship with others. Be there for your family member by educating yourself. Learn the steps of the recovery process as well as risk factors involved with relapse. Have an open line of communication with your loved one, helping them to feel comfortable talking with you about anything. It is important to be patient at this time as you are dealing with an addict who needs to go through a great deal before even being ready to be sober. Continue to praise the success of your loved one. Celebrate milestones and even offer to go to meetings with them if it will help. By simply showing that you are supportive of the actions they are taking will mean a great deal. As a family member, it is important to realize that relapses can happen. Christian drug and alcohol treatment centers provide quality care but a relapse can happen at any time. Be supportive of your loved one and help them get treatment once again if a relapse does occur. Try not to pass judgment on them as it does happen. Finding a solution that will help them go through the relapse is a better way to approach the situation. Perhaps a different type of Christian addiction treatment program needs to take place. Find alternatives to treatment to ensure your loved one receives quality care. Being supportive means something different to every individual. Speak with your loved one openly to find out just what they need. Perhaps they just want you to be willing to listen when they need to talk. Or maybe they want you to attend meetings or therapy sessions with them at Christian drug and alcohol treatment centers. Whatever the case may be, make sure you are willing to help to assist in the recovery process. Everywhere around the world, people are adapting healthy and green products that are good for Mother Nature as well as for their own well-being and that of their families’. The choice of green, healthy, and environment-friendly products can be seen anywhere you go. 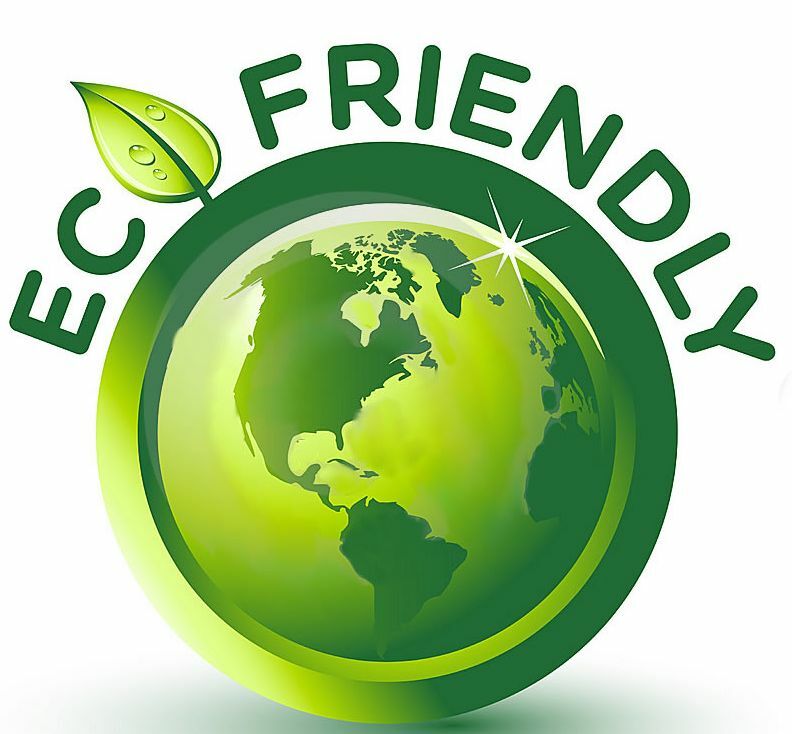 The concept has also crept its way into the home cleaning business, with more and more homeowners going green for a healthy home cleaning session.Whenever home owners get their homes cleaned by a home cleaning service, they choose the green option as it is much healthier for them and their families. Most of the cleaning services in Dallas working in the market make use of harsh chemicals in cleaning products to get quick results. These chemicals can be extremely dangerous for the entire family due to the fumes they give off and also due to their poisonous nature. They can cause harm to anyone who comes in contact with them, which is mostly unsupervised children. When you hire a cleaning service, you must make sure that company does not bring any of those chemicals with them. You must ensure this to ensure the health of your family and kids. The market is full of products that contain naturally occurring ingredients that cause no harm whatsoever to you, your family, or your kids; and more and more products are being released every day. But you need to be careful. When the cleaning company comes over, make sure to check the products yourself. Not all brands list all the chemicals they use in the products, but if you have a definitive idea about the majority of ingredients, then you are good to go. Extra precaution is always a good idea, as not only your kids, your pets may even get harmed by the harmful chemicals. So always plan to be extra careful. The green products are usually affordable in price, as they are made from natural ingredients. So any professional cleaning services in Dallas can easily afford them to put them to good use at your home. These products can also be purchased from eCommerce websites, which often offer lucrative deals and discounts on bulk purchase. So you really will not have a hard time in finding a company that uses such products. Researches and studies are being conducted all over the world, that point to one same conclusion that green products are quite healthy, as the chemical ones can cause severe damage on first contact. Doctors are of the opinion that homeowners need to discard these chemicals as soon as possible to ensure that their kids grow up in a healthy environment, free from poisonous pollutants. The research further suggests that exposure to harsh chemicals over an extended period of time may cause skin cancer and blindness, which definitely can be very painful for a human being of any age. The rise of different kinds of cancers is also being attributed to the regular use of harsh chemicals. So, to make things better and healthy, preventive measures must be taken, in the form of green cleaning products. 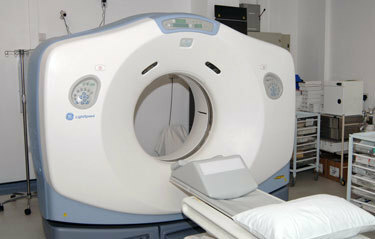 CT scans, or Computed Tomography, is a diagnostic procedure that helps in the diagnosis of different conditions within the body. CT scans can provide a closer look at different areas within the body such as muscles, tendons, soft tissues, blood vessels and bone. Like any diagnostic procedure you might have some questions about what it looks for, how it works and what to expect during the procedure. Sevenoaks Medical Centre explains what a patient can expect from a CT scan. A CT scan uses X-Rays and sophisticated software to produce detailed 2D and 3D images of the body. A CT scan may be part of a range of diagnostic procedures you have to undertake in order to reach a diagnosis. Essentially a CT scan involves a patient wearing a gown, removing all metallic objects and lying down on a motorized bed that then moves through the circular scanner taking pictures at intervals. This process takes a number of images, individual cross sections of a body, which allow for analysis of different tissues at intervals along the body. Once the scan is complete the images can then be sent to a Consultant for analysis. Prior to the procedure, depending on the focus of the scan a patient may be asked to fast, or may be asked to refrain from drinking before the procedure takes place. This is to allow for clearer images to be taken. The scan itself is completely painless, however it is worth noting that much like with an MRI the patient will be in the testing room by themselves, although they will be in contact with the radiographer. This can be unsettling for some patients, especially children, in these cases it is possible for a parent or guardian to remain in the room, however they will be required to wear protective clothing due to the radiation used as part of the scan. Following a CT scan the images are sent to the required consultant for analysis before the findings are discussed with the patient. In some cases this could be on the same day as the scan takes place (normally in the event of a private CT scan), otherwise it could require a follow-up appointment. A CT scan is a routine procedure and not something to worry about. If you do have any concerns or other questions then it always best to raise them with your GP when you are referred. Depression is, unfortunately, a common affliction for many elderly people in New York City. Isolation, mourning, and in some cases, dementia-related illnesses are all common reasons for depression in seniors. When it’s your own mother, father, or another older relative (like a grandparent or an uncle), you want to spend as much time with them as possible. But you’re busy raising your own family and staying on top of your job. You can’t spend all day with them, or even visit as much you would like. You’re not the only one facing this dilemma and help is available. 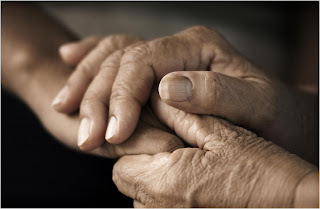 Home care for the elderly is not restricted to seniors suffering from dementia or recovering from a surgery. Home care with the right agency evolves as your family needs it to, and it can begin with senior home care services in NYC. That means a personal support worker will come to your home to socialize with the loved one you’re worried about. If the elder in your life also suffers from limited mobility or they can’t manage household chores like they used to, a home caregiver can also help out. If your needs increase, the tasks you need to be done and the frequency of visits can change as well. What does companion care look like? 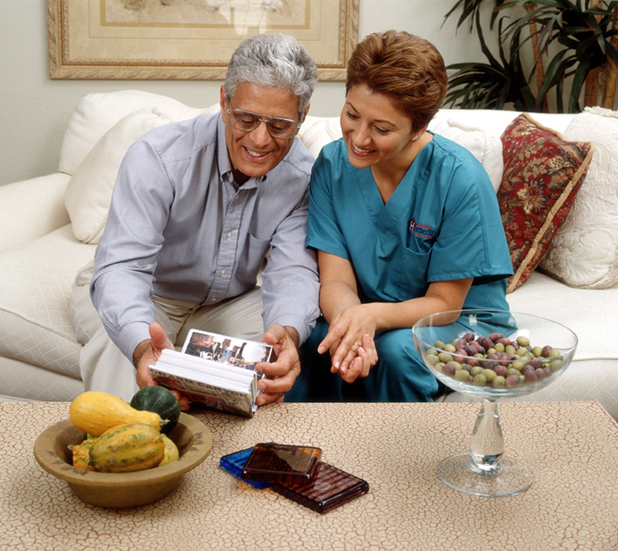 To take New York City-based Mavencare as an example, companionship with an at home caregiver involves everything from shopping trips and doctor’s appointments to mealtimes and medication reminders. Meal preparation – As mobility becomes an issue, your older parent may find it harder to reach frying pans or lack the strength to safely empty pots of boiling water. That can mean that they aren’t cooking what they may have for most of their lives, and aren’t getting enough nutrition. A caregiver can help with meal preparation, making sure your parent’s nutritional needs are satisfied, as well as providing some much-needed company at meal times. Going shopping – If, whether it’s due to visual impairment or decreased mobility, your loved one has lost the ability to drive or safely take public transportation, it can be difficult for them to get the grocery store or go shopping for other necessities. A good sign that this is an issue is spoiled food or empty cupboards in your loved one’s kitchen. Getting to the doctor’s – Another side effect of decreased mobility is trouble getting to the doctor. If they’ve missed a critical appointment because of bad weather or troubles with public transportation, caregivers with companies such as Mavencare can help them get where they’re going. You can also enjoy peace of mind knowing that your loved one has arrived safe, sound, and on time with a digital app that connects families with caregivers. Get live updates on your loved one throughout the day and always know that they’re safe. Getting outdoors – While shopping and making doctor’s appointments is important, don’t undervalue the importance of getting outside for pleasure. If your loved one was always a gardener, spending a little time planting bulbs and pulling weeds in the sun can go a long way for their mental health. Bringing a caregiver into your loved one’s home (or your own) is a great way to prevent depression and improve the health of the senior in your life.